Our product range includes a wide range of 130 ton horizontal plastic injection molding machine, cable tie horizontal plastic injection molding machine, plastic horizontal injection molding machine, 80 ton plastic horizontal injection molding machine and automatic horizontal plastic injection molding machine. We are offering 130 Ton Horizontal Plastic Injection Molding Machine to our clients. Our offered molding machinery is designed using premium quality components and progressive technology in sync with industry norms. We are offering Cable Tie Horizontal Plastic Injection Molding Machine to our clients. We are offering Plastic Horizontal Injection Molding Machine to our clients. 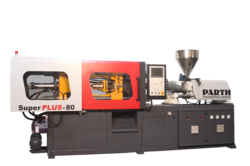 We are offering 80 Ton Horizontal Plastic Injection Molding Machine to our clients. 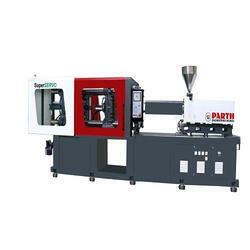 Highly demanded in various industries, this moulding machine is manufactured by our adroit personnel using quality tested components and ultra-modern technology. 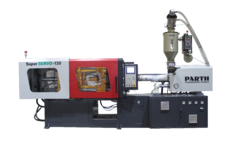 Our company holds the expertise in manufacturing and supplying a wide variety of Automatic Horizontal Plastic Injection Molding Machine to all our clients spread all across the nation.